Sandwiches are served on hand-sliced Pain de Mie bread (baked and delivered fresh daily) with a locally made fresh new pickle. Picnic style. Grab a board, a knife and hit the fridge to make your own spread. Head out to our grassy garden with a baguette and a blanket (we have extra if you forgot yours). 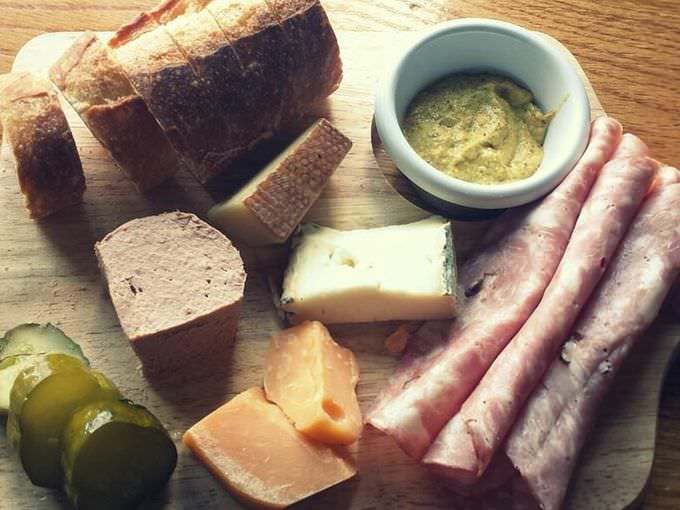 The charcuterie and cheese are carefully sourced from purveyors such as Schaller & Weber and Crown Finish Caves, located down the road in a bygone 19th-century brewery.